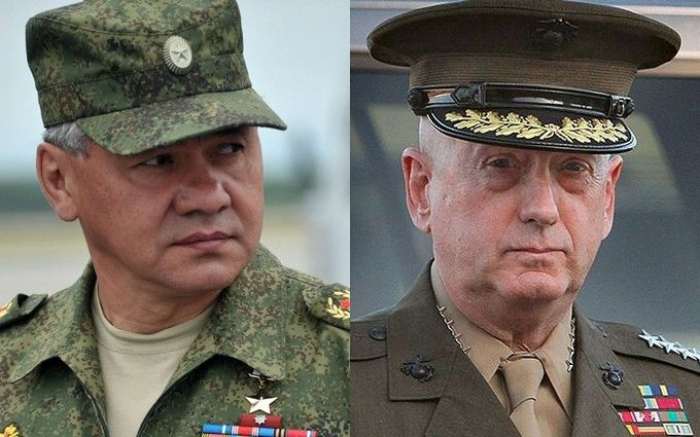 Russian Defense Minister Army General Sergei Shoigu suggested discussing the Intermediate-Range Nuclear Forces Treaty (INF Treaty) issue with Pentagon chief James Mattis but the Pentagon failed to give even a formal response, Russian Defense Ministry Spokesman Major General Igor Konashenkov told reporters on Saturday. According to him, several days ago, two messages were conveyed to Mattis through a defense attache for the US embassy. The first one concerned the situation in Syria. "In the second message, the Russian defense minister suggested discussing the differences in the two countries’ positions on compliance conditions of the Intermediate-Range Nuclear Forces Treaty," Konashenkov said, adding that the messages had highlighted the Russian Defense Ministry’s readiness "for open and specific dialogue with the Pentagon on all the pressing issues on bilateral agenda." "Nevertheless, after three days, the US Department of Defense failed to give even a formal response to the Russian Defense Ministry’s suggestion," the ministry spokesman noted. Konashenkov stressed that it proved "the United States’ unwillingness to maintain a meaningful and professional dialogue with Russia in order to resolve pertinent issues related to regional and global security." The Russian Defense Ministry Spokesman said that the first message "expressed deep concern about growing tensions between the Kurds and Arabs in the US-controlled areas east of the Euphrates River." It also said that the US-supported "autonomous administration" had achieved progress neither at the political level nor in the restoration of peaceful life. The Russian defense minister added that oil smuggling from the US-controlled areas negatively affected the Syrian economy’s reconstruction prospects. The US-led coalition has been trying in vain to defeat the Islamic State (a terror group outlawed in Russia) in the Hajin area for six months, the message adds. "Two thousand militants still control nine settlements located along the east bank of the Euphrates River, while at least 1,500 civilians have been killed there in the US-led coalition’s airstrikes," Konashenkoiv said, adding that judging by the Syrian army’s experience, such an area could be liberated in no more than two weeks. The Russian defense minister also emphasized the need to resolve the Rukban refugee camp issue.